The author selected white background to make the theme look serene like tea ceremony. The font used at logo design looks elegant and exotic. Content area accommodates two sections. Almost all images on the web page have zooming effect. Slider shows served cups of beverage. Navigation is represented by main and footer menus as well as clean graphic banners. 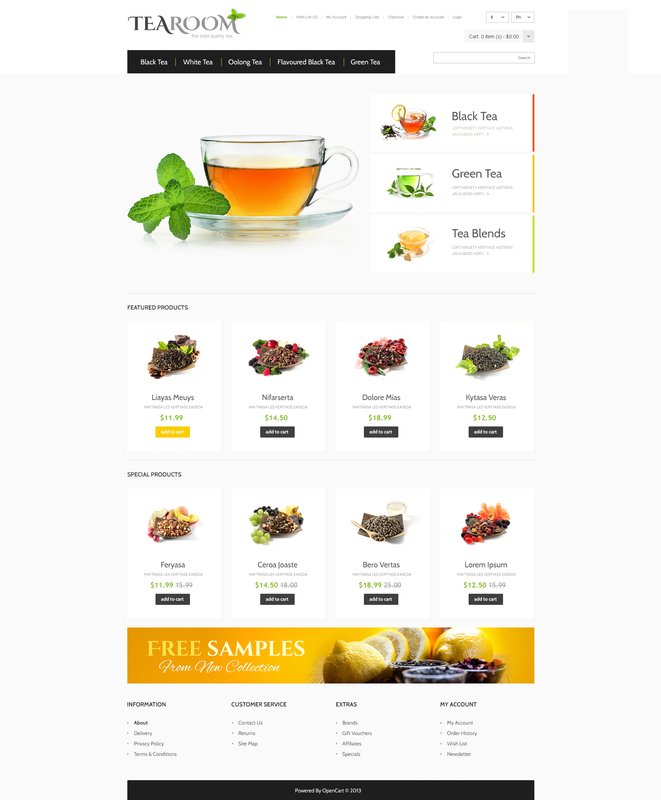 The theme can be used for online tea and coffee stores.